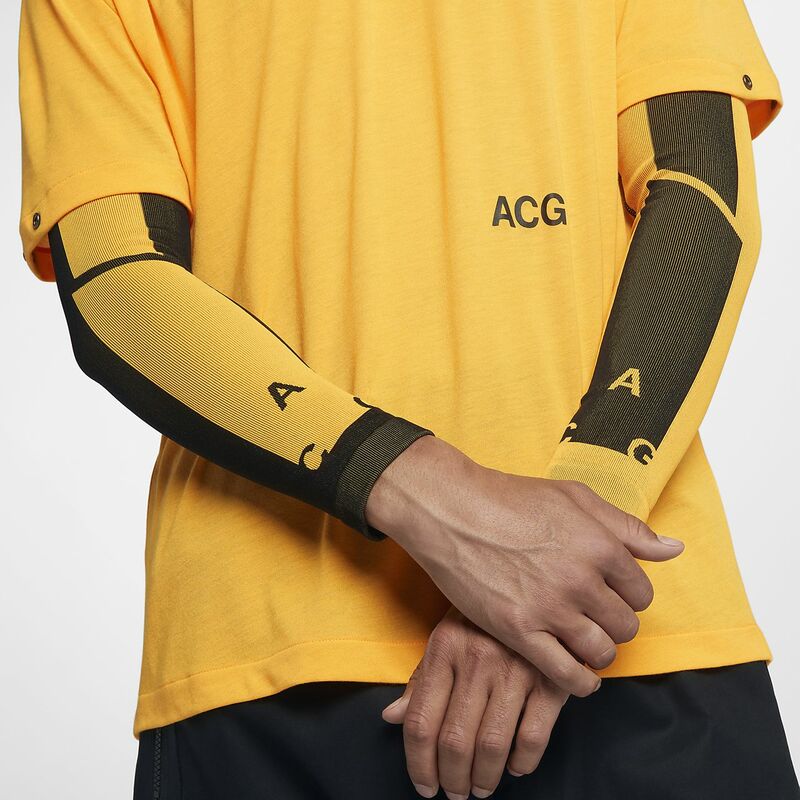 The NikeLab ACG Men's Arm Sleeves have compression to flex with you. Seamless knit keeps you sleek and covered on the go. The NikeLab ACG Men&apos;s Arm Sleeves have compression to flex with you. Seamless knit keeps you sleek and covered on the go. NikeLab ACG is built for all conditions. This intersecting apparel system equips women and men to conquer the urban landscape despite intense heat or torrential downpour. Designed with ACRONYM® founder Errolson Hugh, NikeLab ACG embodies his form-follows-function ethos and Nike&apos;s dedication to performance and mobility. Extreme fit-testing, breathable, protective fabric and modern design empower you to move, adapt and protect yourself from the elements. ACG means all-conditions gear. And all conditions means all conditions.